Ada Office 300 South Rennie Ave.
My childhood orthodontist created a smile that allowed me to smile with pride, and since then I have dreamed about becoming an orthodontist to help others achieve a beautiful smile as well. I am truly thankful that I have been blessed in this lifetime to live my dream, and when I see each patient, I am reminded of that. Each patient truly makes me smile! I attended the University of Oklahoma for my entire education: first earning my Bachelor of Science in microbiology, followed by my Doctorate of Dental Surgery, Master of Science, and orthodontic certification. 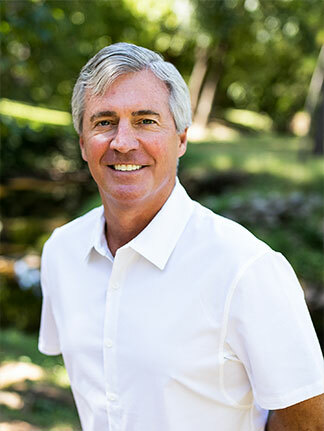 I maintain constant and current continuing education for the latest techniques and appliances from local and national dental and orthodontic organizations, such as the American Dental Association, the American Association of Orthodontists, and the Oklahoma Dental Association. I have also served as a part-time instructor at the University of Oklahoma College of Dentistry. Being an active member of the Norman and Ada communities is very important to me. I am involved in numerous organizations, both professional and personal. I take part in middle and high school booster clubs, and have served as president/treasurer for the University of Oklahoma College of Dentistry Department of Orthodontics Alumni Association. I am fortunate to live and work in the wonderful community of Norman, OK. My wife Elizabeth and I have been married for 35 years, and we have two beautiful daughters and two dogs. When I’m not spending quality time with my family, I enjoy fly fishing, diving, snorkeling, and taking long walks on the beach.